Green mountains everywhere. Great country roads to ride in Townshend. 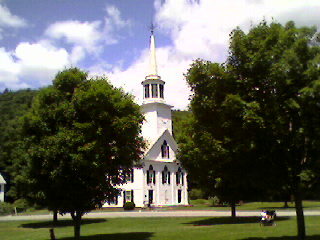 Other places to see such as wood churches, covered bridges and Currier and Ives images. Quote Robert Frost poems and you'll understand.